The first is a consolidated view to our income and expenses, including the FTC Initiative. The FTC Initiative is the building renovation project, with pledged donations still being provided, and payments towards our outstanding loan continuing. 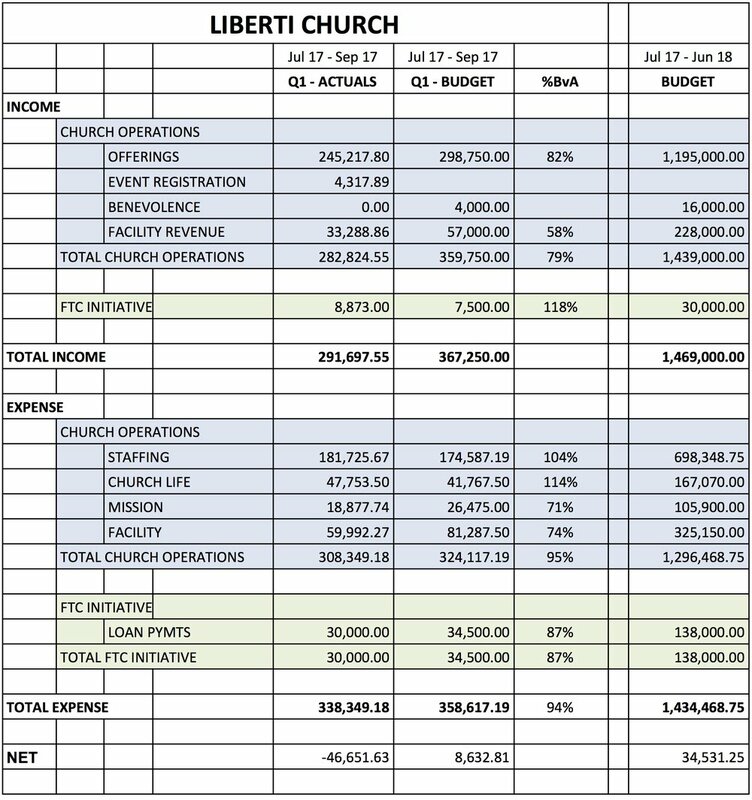 The second is a detailed view of the Church Operations portion of our budget. For a further explanation of each category, click here. To read the Talking Points from the Finance Update, click here. How do I give towards Liberti? There are several different ways you can invest in what God’s doing at Liberti; to see which giving option is right for you, simply click here, or you can reach out to Scott Jennings or Rob Hanlon, one of our deacons who serves on the church’s finance team.